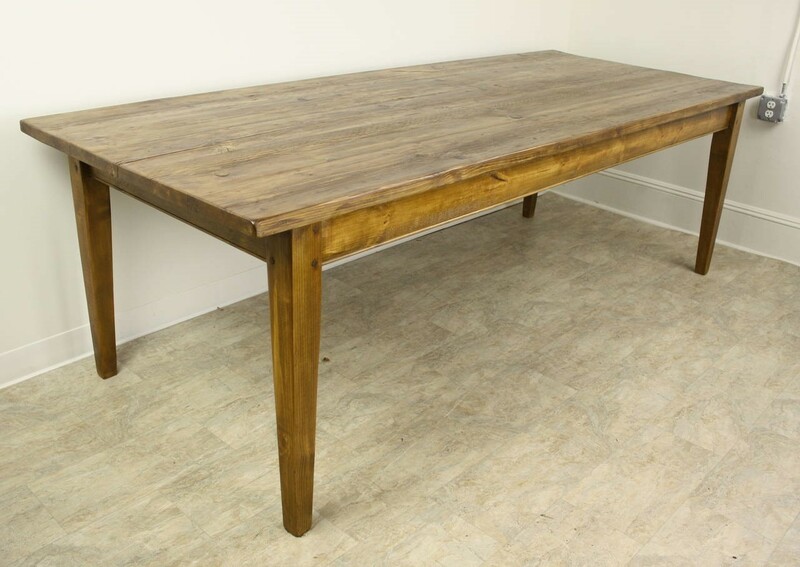 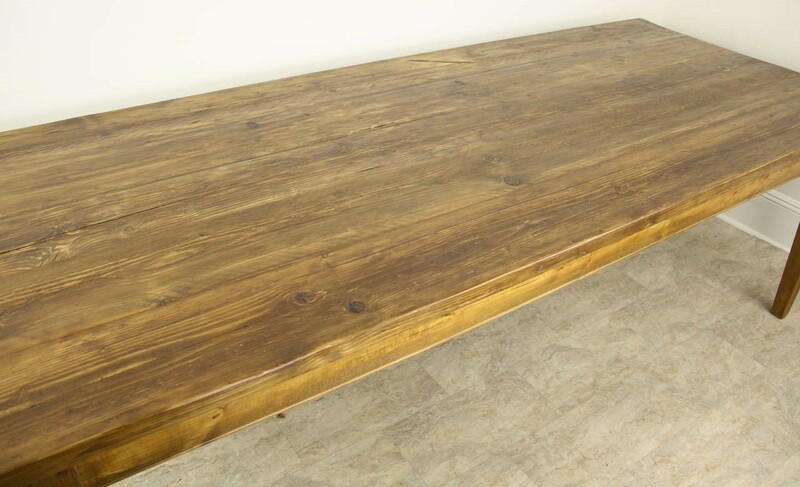 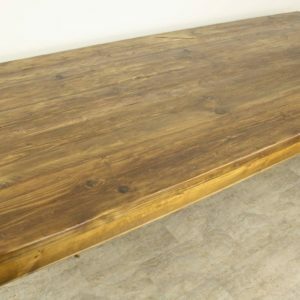 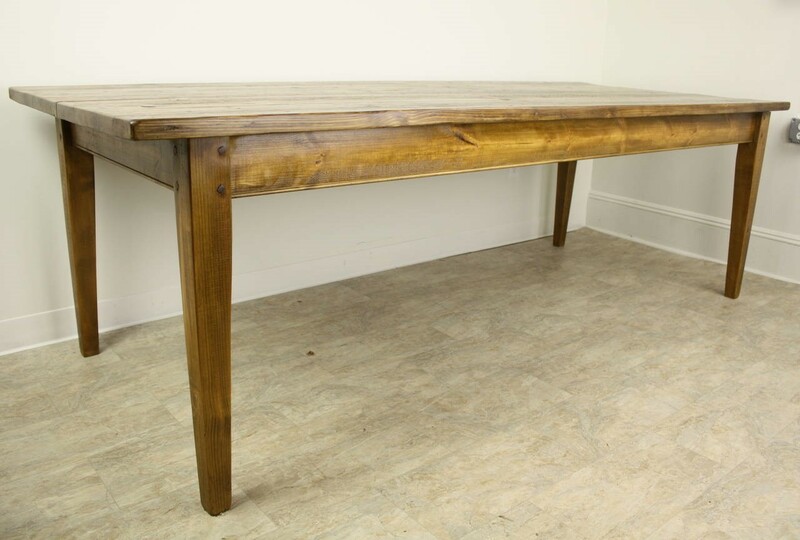 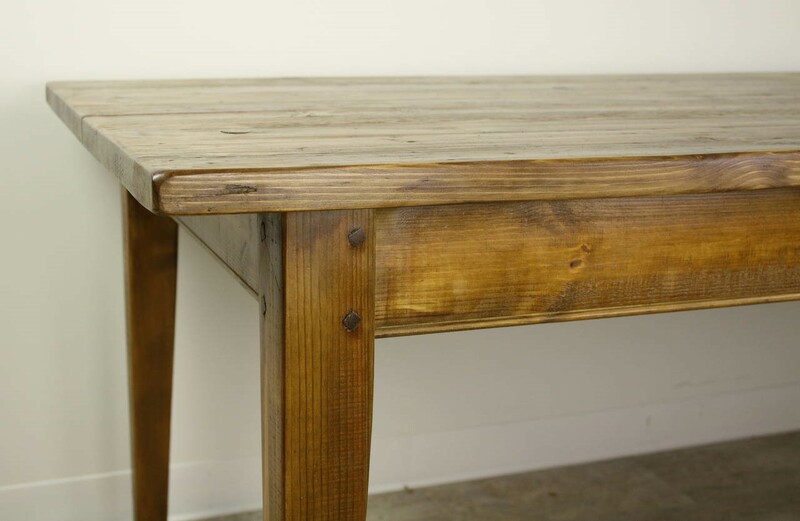 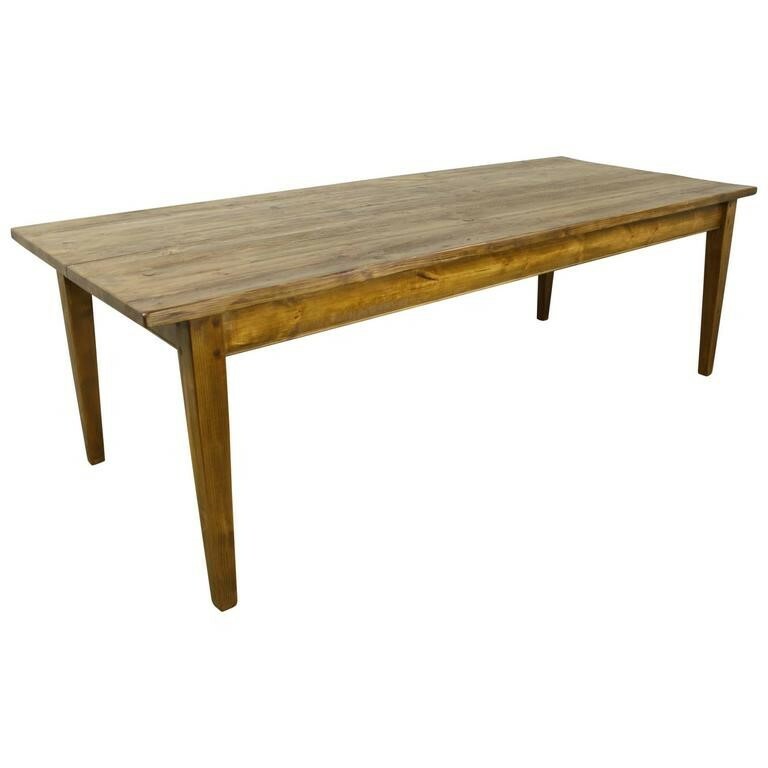 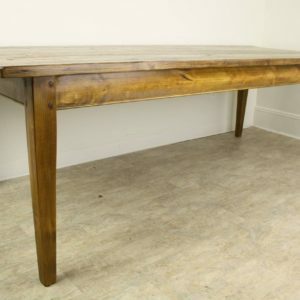 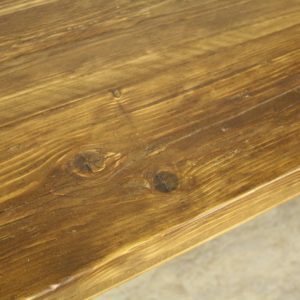 Large and very sturdy, this table is custom made for us in England. 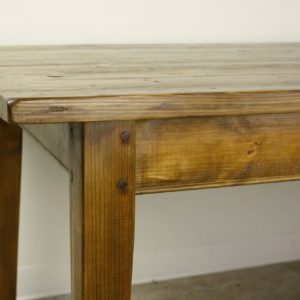 Very strong and dramatic, it offers a 25″ apron for knees, and is 83″.between the legs, seating four comfortably on each long side. 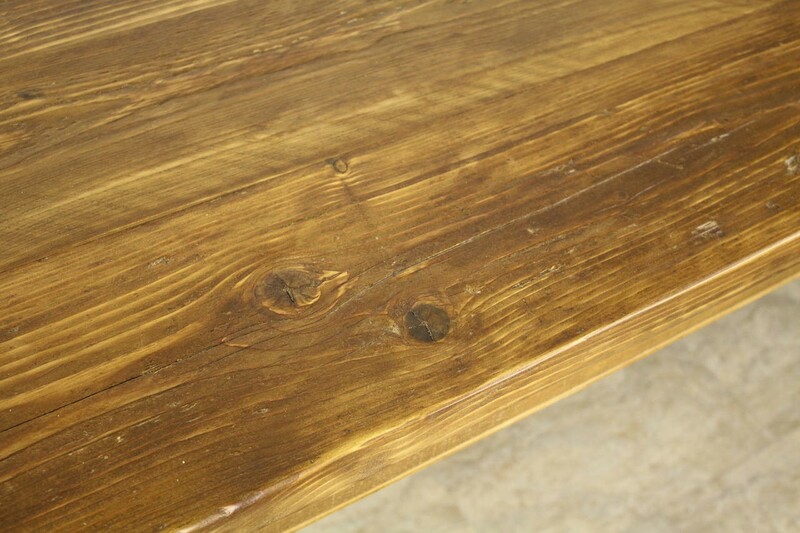 The rich honey color is most attractive, and the legs are tapered in the traditional style. 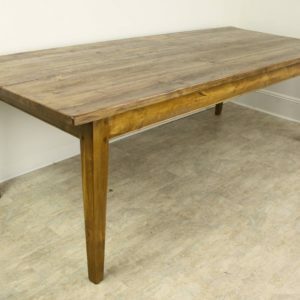 Nice thick top.